Tomorrow is St. Patrick’s Day! 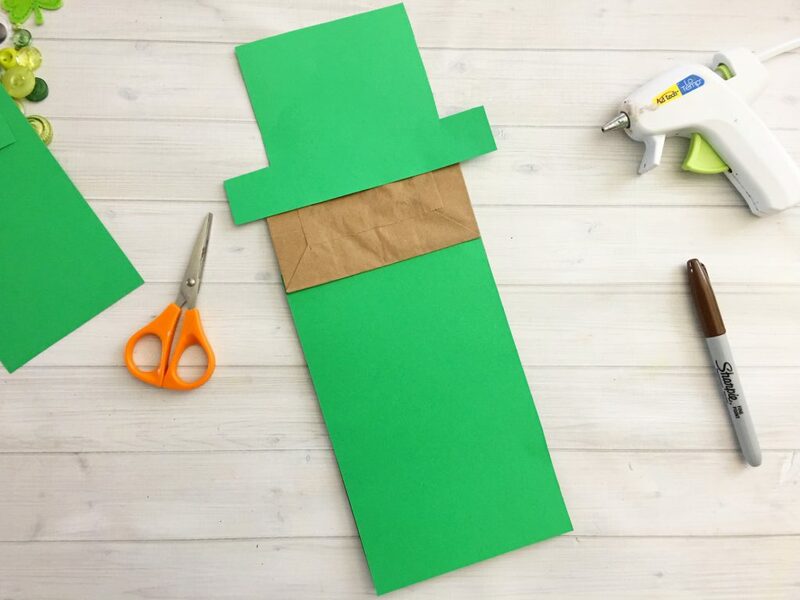 I have been sitting on this fun leprechaun paper bag puppet kid craft for weeks now, and just haven’t had a chance to share it with you. So, here it is with just a day to spare! You don’t have to be Irish to get into St. Patrick’s Day festivities. 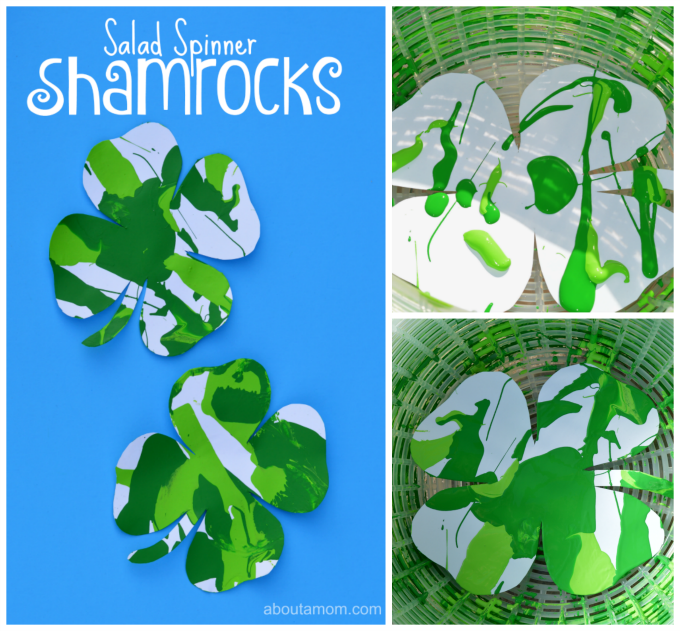 I think this is a great St. Patrick’s Day craft for kids, regardless of your family’s origins. It is simple to make and you probably already have all of these supplies around your house. 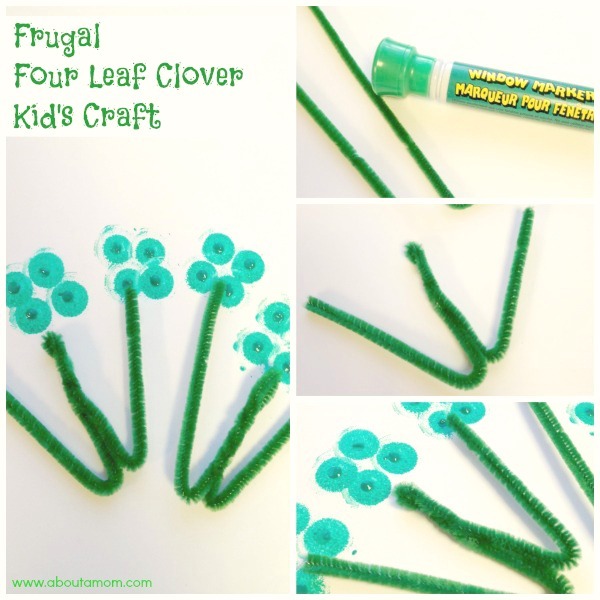 My picture shows a hot glue gun, but any good craft glue will work and is safer for your littles. This post contains affiliate links. 1. Turn your bag upside down so the bottom of the bag is at the top. 2. 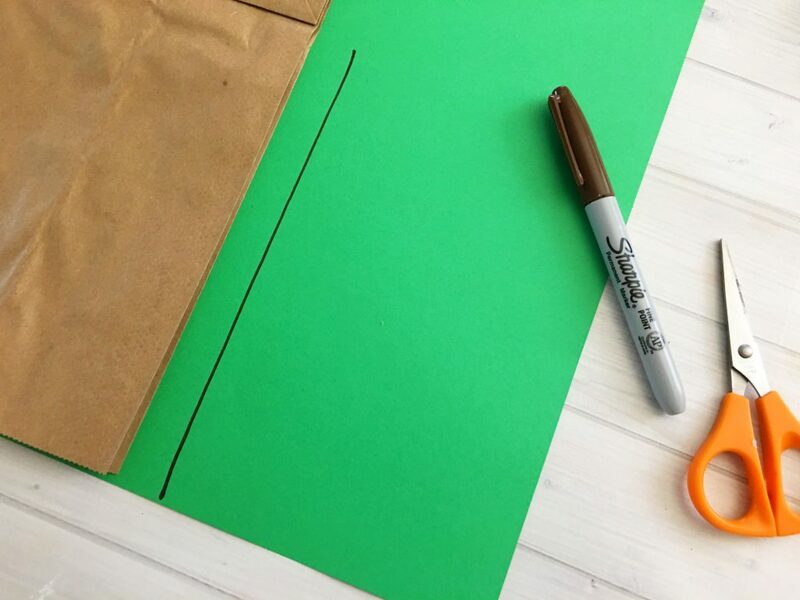 Trace the bottom rectangle of the bag onto your green paper, cut out, and hot glue to the bottom of the bag. 3. 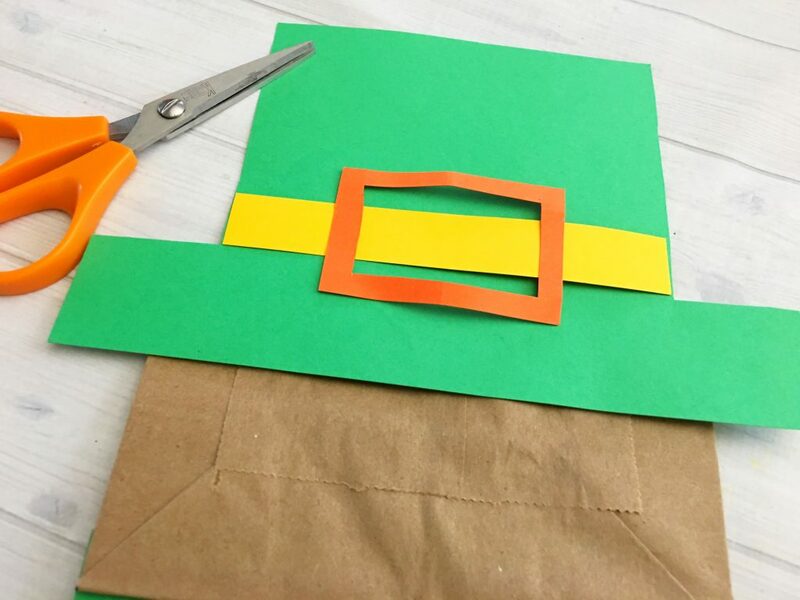 Then cut a large top hat from your green paper and glue to the top of the bag. 4. Cut a long skinny rectangle the width right above the brim of your hat from your yellow paper and glue in place. 5. Next cut out a rectangle, about 2″x3″ , fold in half, and cut out the center. 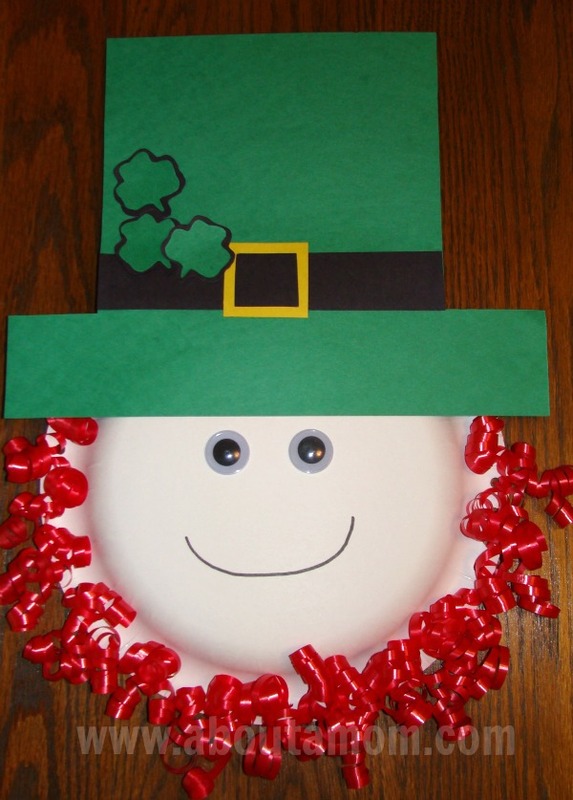 Glue to the center of your yellow stripe and glue your clover onto the hat. 6. 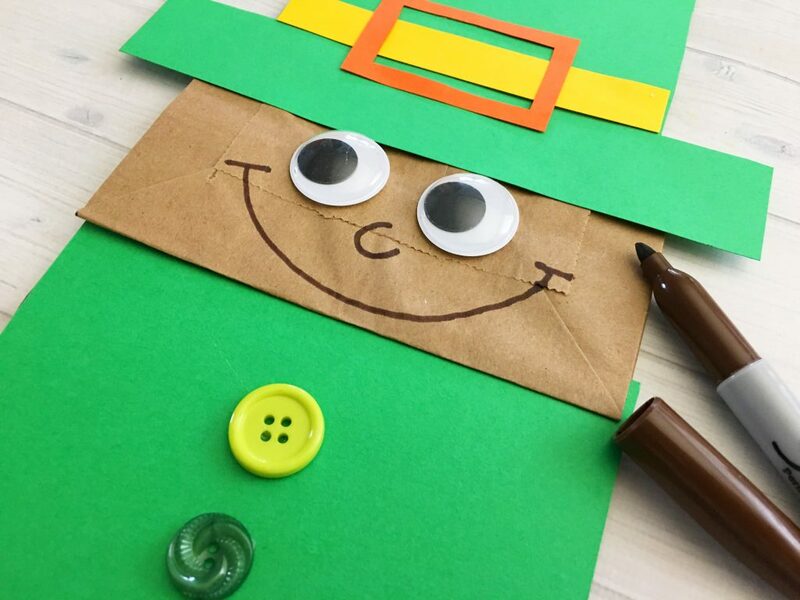 Hot glue about 3 buttons down the from of your leprechaun’s shirt. 7. 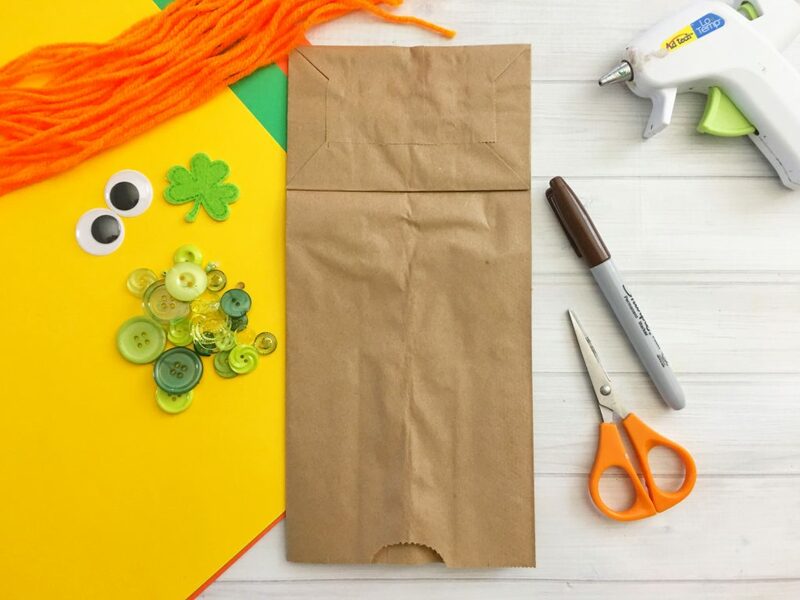 Glue your googly eyes onto the brown bag face and draw a nose and eyes with your brown sharpie. 8. 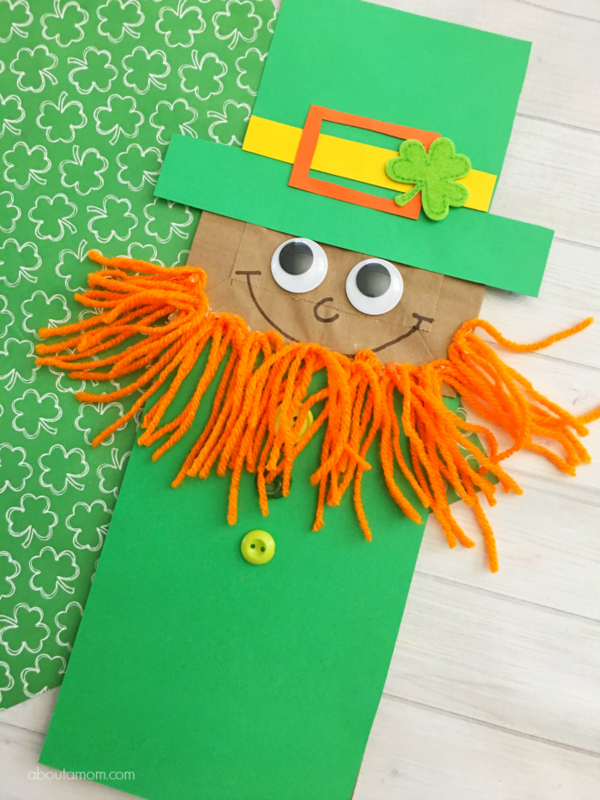 Then cut about 40 5″ pieces of orange yarn, fold them in half and start carefully glueing to the leprechaun’s face below his smile for a beard. We love doing crafts! these are super cute. This is adorable, and so easy, a jif with the glue gun! This would make a cute craft at school. Aw! This is very cute! I love the orange beard! I really love this craft. It’s so cute. This is so cute! My kids would have a blast making these.